As the ruler of the Galactic Empire, Emperor Palpatine is the ultimate power in the galaxy. 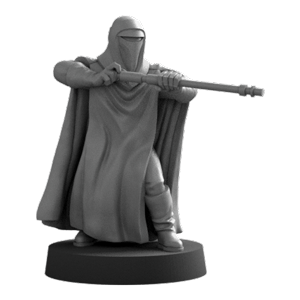 Wherever he goes, the Imperial Royal Guard is sure to follow. 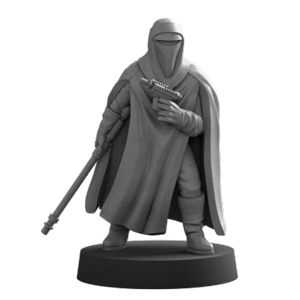 Inscrutable behind their blood-red masks, the Imperial Royal Guard will face down anyone that dares threaten the Emperor. 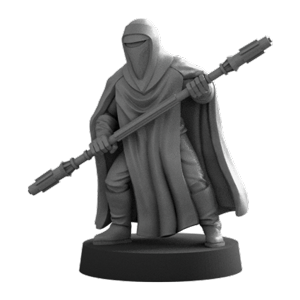 While little is known about these enigmatic warriors, one thing is certain: their sole directive is to protect the leader of the Galactic Empire, with their lives if necessary. 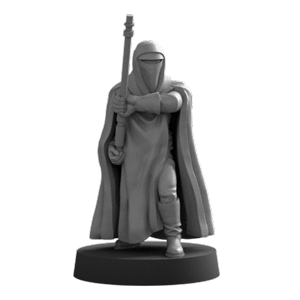 The Imperial Royal Guards Unit Expansion contains everything you need to add a unit of Emperor Palpatine’s personal bodyguards to your army. The squad of four unpainted, easily assembled miniatures stands ready to protect the Emperor or do his bidding on any planet across the galaxy. 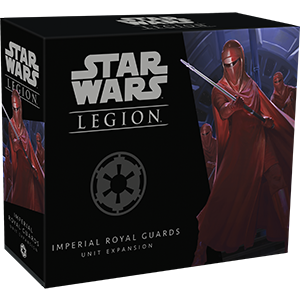 The Royal Guard is also accompanied by five distinct upgrade cards that invite you to outfit them with even more tools for protecting the Emperor. Protect the Emperor with the four unique, highly detailed miniatures included in this expansion pack! Three of the Royal Guard are armed with Force Pikes and EC-17 hold-out blasters, while the fourth Royal Guard wields an electrostaff to deadly effect.